Zip, encrypt, and share files on your Mac! WinZip—the world's leading file compression utility—has been reinvented for the Mac! 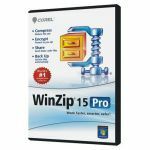 Created specifically for Mac users, WinZip Mac Edition is a simple, powerful tool designed to help you compress and secure your files with the latest in file compression and encryption technology. Now you can zip and protect your files for swifter, safer sharing and smaller storage with this all-new, easy-to-use Mac tool backed by the best in the business! - Enjoy faster uploading/downloading times! - Organize and archive your data in small, manageable packages! 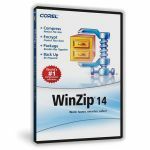 - create WinZip's smallest Zip files to date (Zipx). WinZip Mac Edition also provides extensive previewing functionality. 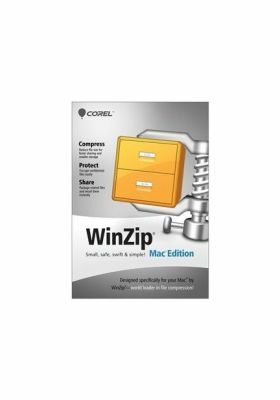 Blending seamlessly with the Mac OS, WinZip Mac Edition takes advantage of Mac's Quick Look tool so you can browse the contents of a zipped folder before you decide whether to unzip it. You can even open and edit single files within a zipped folder without having to unzip the entire folder first! - Share confidential information with confidence! - Secure your archives from unauthorized changes! - Protect email attachments from unwanted access! Working with confidential information? Did you know that when you zip a file, you can also apply password-protection to its contents? WinZip Mac Edition provides powerful AES encryption so you can protect files as you zip them. You can even apply a password to a single, specific file when adding it to a Zip file, without having to encrypt the Zip file's entire contents! Why zip email attachments files before sharing? - Send and receive files faster! - Compress your data into convenient, logical groups for easier sharing! - Share hassle-free email attachments that don't bounce! Now you can share files with confidence, knowing that they are smaller, safer and more manageable. Use WinZip Mac Edition to instantly compress files into compact, logical groups that are ideal for sharing. Because WinZip Mac Edition works with Mac's built-in Mail tool, you can also email a zipped file directly from the WinZip Mac Edition window! With a few easy clicks, zip and encrypt a set of files as an email attachment, compose an accompanying message, and send the email instantly. Compressed email attachments mean swifter deliveries and far fewer data transfer issues. For organizations, reducing the size of email attachments conserves network bandwidth and creates considerable savings in email server storage costs!